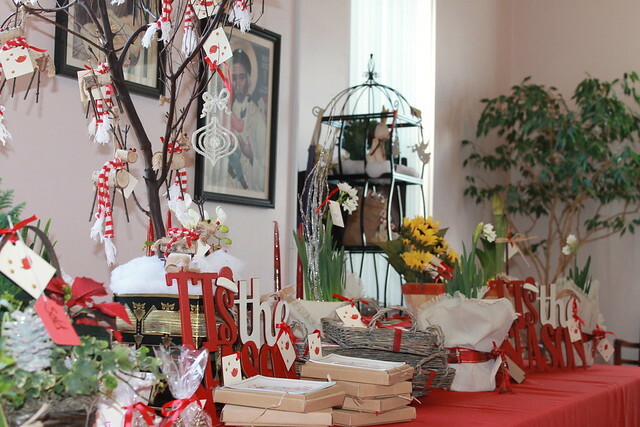 On December 6th, friends new and old gathered at our very own Epiphany Center for a holiday inspired afternoon tea, our first O'Christmas Tea. The halls were bustling with smiling faces as guests shopped our charming holiday gift boutique, featuring local artisan crafts from Cookie and the Dude, Greetings from Pearl, Beksan Designs, Coyle Designs, and more, while the piano played our favorite holiday tunes. Guests were seated for an exquisite spread of dainty finger sandwiches, scones, shortbread cookies and of course, neverending cups of tea—catered by the delightful ladies of My English Tea Party. Epiphany's Program Directors tugged on our heartstrings with their powerful speeches about the critical compassionate work being done every day to ensure that women and children heal together, stay together, and have a future filled with hope and opportunity. Guest Speaker, Rosalinda Randall, dazzled guests with her charming sense of humor in a Q&A session which included the most gracious ettiquette for shaking hands, ending a long-winded phone call, stragies for getting guests to leave your holiday party, and more. Epiphany League member, Maggie Dobbins, commented: "It was a lovely event with terrific camaraderie between all attendees, staff and artist vendors. It was also a terrific opportunity to get in a lot of holiday shopping, the boutique had fabulous gifts for friends and family! The staff shared heartfelt summaries about their work and Epiphany Center's impact on families, and Rosalinda made us laugh while we learned about proper ettiquette practices!" THANK YOU to our guests, supporters, and everyone involved for making Epiphany Center's first O'Christmas Tea a joyous and festive afternoon. We are so grateful to have a compassionate community supporting the work we do for San Francisco's most marginalized women and children.